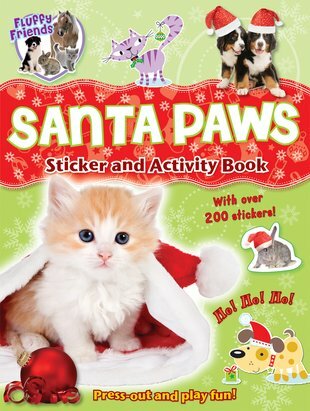 Stickers, press-outs and animals in Santa hats. Darn it, even we think it’s too cute for words! Who can resist kittens peeping out of gift bags? If you love animals and Christmas, you definitely need this book for your stocking. There are play scenes to make with gorgeous press-out animals. There are enough cute activities to fill every day of your holiday. And there are 100 stickers you can put on your things and keep forever. These fluffy friends are not just for Christmas.